That’s why beyond the Badgley overlap, “You” is a lot like “Gossip Girl.” It’s very New York. (Joe might be a violent and dangerous person, but even he bristles at having to schlep all the way to Greenpoint.) It’s very salty. It’s very class-conscious. It’s also occasionally beyond absurd, as when Joe’s bookstore has a soundproof glass vault in the basement, where he can repair antique books or imprison people, and sometimes both. “You” comes from the megaproducer Greg Berlanti, whose empire includes most of the CW comic book shows, and Sera Gamble, most recently of “The Magicians.” It shares that show’s canny awareness of its characters’ insecurities. 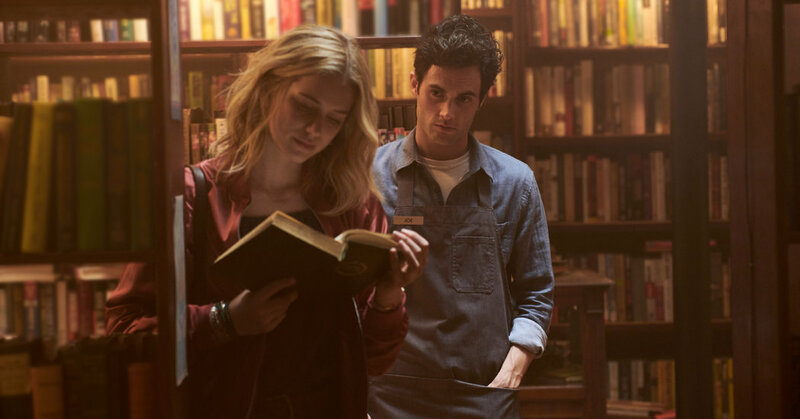 Thanks to Joe’s twisted narration, there’s an occasional “Dexter” moment, too, and thanks to gentle hypnosis of swinging between budding romance and calculated foul play, there’s a “Gone Girl” vibe. This is much more a story show than an acting show, though Ms. Mitchell’s soapy performance makes everything that much juicier. In the five episodes made available to critics, “You” zips along, never dwelling in its least-believable moments long enough to ruin the ride, and never indulging in its romances too much that you lose sight of the toxicity and danger underlying all the bonds. It’s not just Joe who sees the world in a grotesque and entitled way. Peach sees through some of Joe’s scam, but she herself manipulates and harms her friends, too. Beck is a habitual liar.